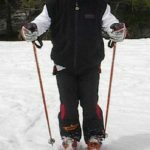 This page I strongly recommend for ski instructors and any skier who wants to understand the main concepts of downhill skiing. Just one small question: how do you imagine the process of skiing? 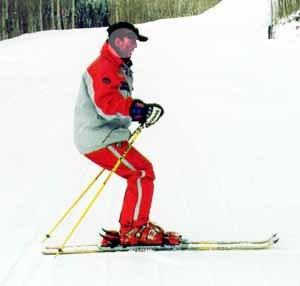 Is it, a ski moving downhill with a skier attach on the top. Very poor, not romantic, just like what we read in different skiing magazines. However, I’m not magazine editor, I’m just trying to explain. How ski can move downhill? There are four different ways to move downhill : sliding, slipping, skidding and carving. Sliding — skis moving downhill in the direction they are pointed. This can be in a straight run down the hill or a traverse across the hill. 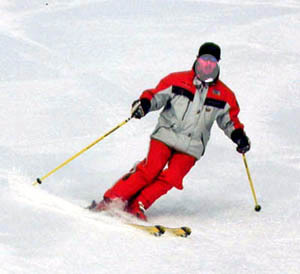 Slipping — skis moving sideways down the hill at an angle relative to the long axes of the skis. The direction of travel is perpendicular to the skis. 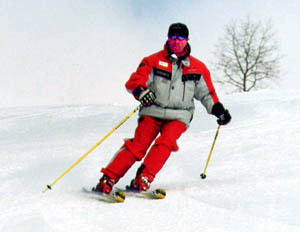 Skidding — is a combination of sliding and slipping as the skis move through the turn. Tails of the skis making a wider path than the tips. Most turns involve some amount of skidding. Carving — when tips and tails travel through the same arc created on the snow. So, our skis are moving down the hill, and what do we need to make a turn? The answer is very simple: we have to take center of mass away from of skis or skis away from of the center of mass. How you accomplish this, I will tell you on this page. Balancing movements — maintaining balance when moving down the hill. 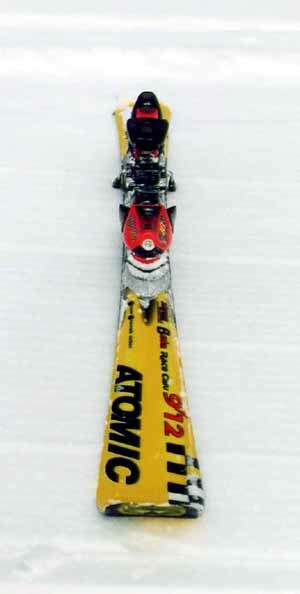 Edging movements — aiding in adjusting the edge angle of the skis in relation to the snow. 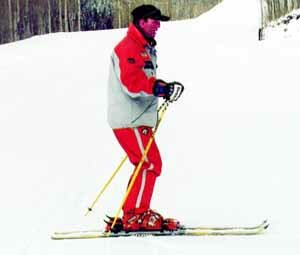 Rotary movements — turning and guiding the skis. 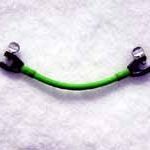 Pressure control movements — managing and manipulating pressure variations between the skis and the snow. When we are talking about balance, we talk only about movements, where the skier is moving down the hill. What movements can affect the balance? 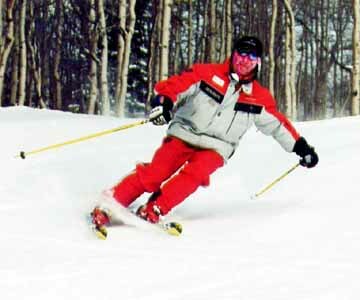 Dynamic balance is the key to success in creating modern downhill skiing technique. Always remember this when you are creating and developing any kind of technical elements. The main idea is: higher the point of inclination the more edge angle you can create. In skiing we angulate with a combination of the hips, knees and ankles. The hips and lower back create the biggest changes in edge angle. While the knees and ankles offer a chance to fine-tune the edge angle. Most turns involve both: inclination and angulation. Inclination without any angulation is known as whole body tipping. Rotary movements involve turning some parts of the body relative to another parts of the body. Rotation is a circular motion around the axis. In skiing rotary movements in conjunction with edging movements and pressure controled movements allow us to initiate the turn and guide our skis through the turn. If you are standing on flat skis while gliding, and then twist your legs and feet, your skis will pivot and slip. If your skis are tipped on edge and you apply pressure and rotary forces to the skis while gliding, the skis carve rather than skid. Upper body rotation (of the shoulders, chest and upper back) is a very powerful motion but a very slow way to turn skis because movements going to your hips, knees and after that ankles with skis. Turn with upper body rotation was taught many years ago. In modern technique it is not used and not taught anymore. Counter rotation can be explained using Newton’s Third low of Motion «For every action there is an opposite and equal reaction.» If you force something (your upper body) to turn clockwise something in return (your lower body and skis) must receive an equal but opposite torque. Leg rotation is simply turning the legs to make the skis turn. 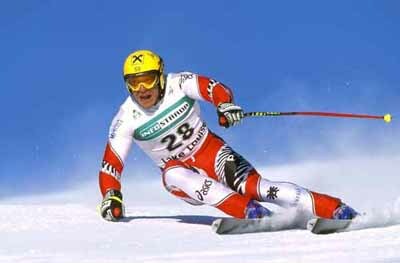 In normal skiing conditions turning both skis is an optimal way because the legs are powerful, and the turning forces translated to the skis very quickly. Anticipation — in skiing is the act of preparing for the next turn. Typically the upper body will be an anchor for the lower body to turn against, which allows you to create muscular tension in the mid-section of the body. This is the act when ski moving in arc finishing the turn and upper body (hands, arms and chest) already turned in the direction of a new turn. 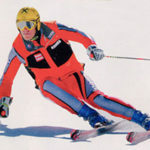 The ability to manage, control and manipulate pressure is often describe as the most difficult skill to muster of skiing. Effective pressure control requires the constant action of muscles and use of specific movements to moderate forces from foot to foot, along the length of the skis, and between the skis and the snow. The amount of pressure that is applied to the skis can be controlled by repositioning the center of mass or by changing turn radius, speed, amount of bend of your joints, edge angle and weight distribution. 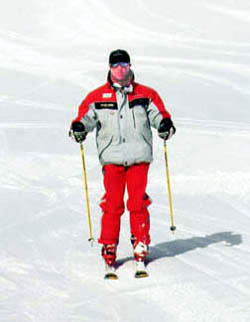 Fore and aft movements control pressure along the length of the feet and skis. The deliberate application of pressure to the front, middle or back of the feet allows you to use ski design to aid in turning and edging. Turn radius in the other words size of the turn. In skiing we talk about short radius, medium radius and long radius turns. Short radius turns create more pressure that the long ones. Speed also effects pressure during the turn: the greater the speed the greater the pressure. 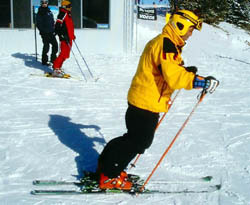 Flexion and extension of the skiing joints, affect pressure. The speed at which you flex and extend can define the amount and duration of pressure on your skis. 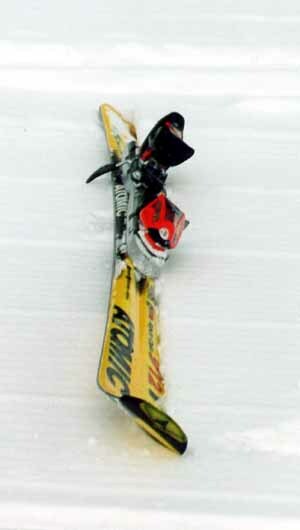 If you body accelerates downward from a tall position quickly, pressure on the skis temporary decreases. When the flexing is stopped pressure increases. If your body accelerates upward from a short position quickly the pressure on the skis temporary increases. As the extension is stopped pressuredecreases. If you move in a constant rate the pressure can be the same or can be progressive. Flexion can also help absorb changes in terrain and snow conditions while maintaining balance, and allow more powerful rotary movements. Flexion can be active (causing the knees to bend) or passive (allowing to push your knees into your body). 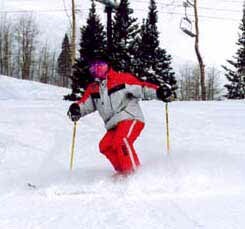 Edge angle is the amount a ski can be tilted relative to the surface of the snow and the hill. If you increase the amount of edge angle, hence you are tipping the skis onto a higher edge and putting your weight into a smaller surface area, thus increasing pressure. If you decrease the amount of edge angle and flatten the skis you are putting you weight onto a larger surface area, thus decreasing the amount of the pressure. Foot to foot changes in weight distribution can also control pressure. At the end of the turn you decrease the pressure on the old outside ski and move to the new outside ski. 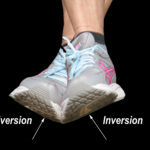 During the weight distribution from one outside leg to the other, the new outside leg is always extending as the new inside leg begins to flex. 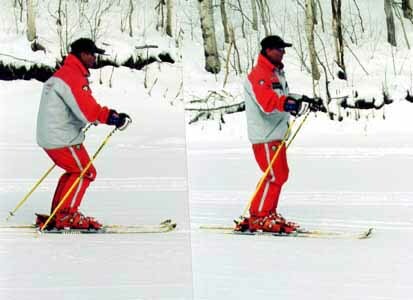 This long leg / short leg appearance produces a lateral movements of the center of mass into the new turn, and a shift of pressure from one ski to the other. Now when we understand all types of movements let’s take a look how they going to be used for skiers with different skiing skills? Beginner main type of movements — rotary. Skier very often sitting on the back seat, skis moving flat, edge angle doesn’t exist. For you as an instructor the main goal to put this skier in central stance. Put as much attention as you can on hands position and pressure on the tongue of his/her boots. Only green slopes. 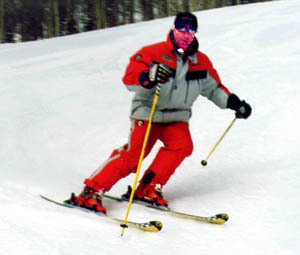 Intermediate skier for this type of skiers I can put everybody who can make skidding turns. These skiers are trying to decrease the amount of wedge, and we can talk about vertical motion (flexion-extension). Skiers are decreasing rotary movements, and more and more are putting their skis on the edge creating edge angle. Aft-forward movements getting better in the process of completion. Their stance is narrow. Green and light blue slopes. 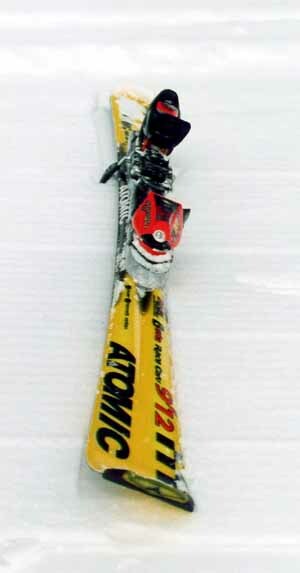 Advance skier that is finding harmony in all types of movements. Their stance is becoming wider, and turning with skidding moving to the dynamic carving turn. In this kind of turns, rotary movements practically do not take place. The main type of body movements fore-aft with angulation and edging. The amount of angulation and inclination depends of terrain, speed and type of the turn. Any kind of slopes.